Like many of our students, TurksLearnEnglish.com is based in Istanbul. As residents of Istanbul, sometimes we feel like the city is growing before our eyes. Below is a collection of amazing shots documenting Istanbul urban growth. We hope you enjoy them as much as we did! 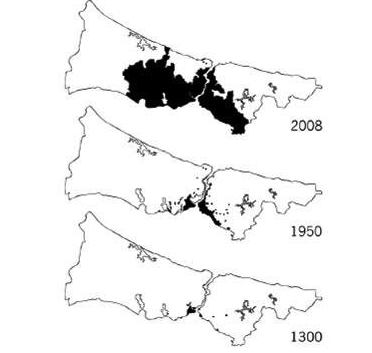 The figure above, in which the black dots represent the urban population density, reveals that in the twelfth century, the population centered around Sultanahmet and that the density did not increase significantly for 650 years. By 2008 the city has grown monstrously. 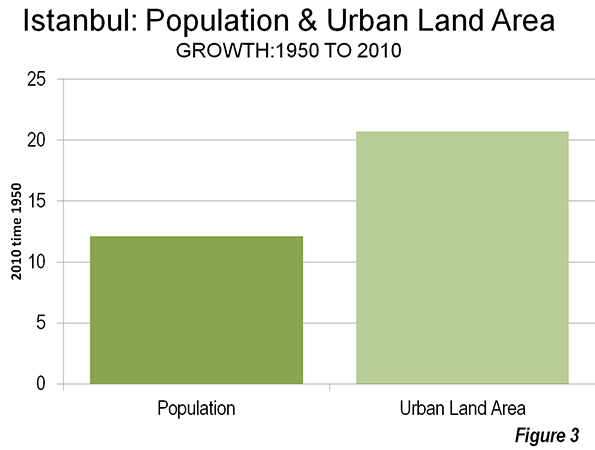 Istanbul is the fastest growing city among all OECD metropolises in the period after the 1990s. 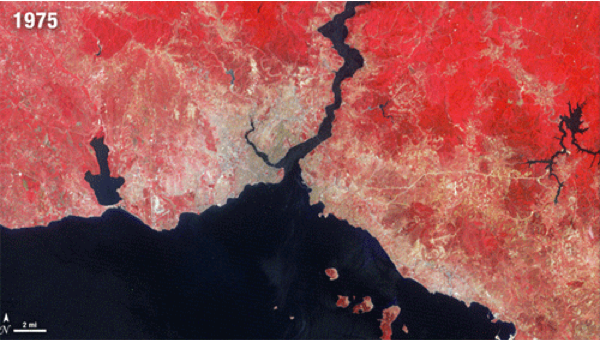 NASA’s Landsat satellite system has been orbiting and taking pictures of the earth since 1972. To celebrate its 40th birthday, NASA and the U.S. Geological Survey have released a set of images showing how 11 world cities have changed over that time, click here to take a look at the complete set. 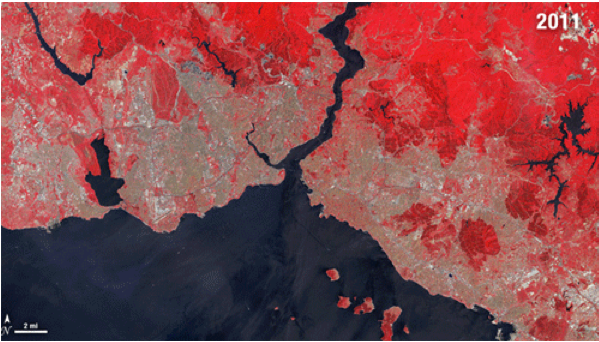 In the Istanbul shots above, red is vegetation, gray is urban and water appears black. 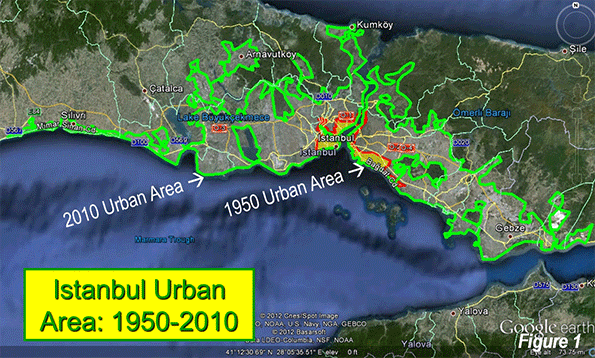 The density change in Istanbul is striking. 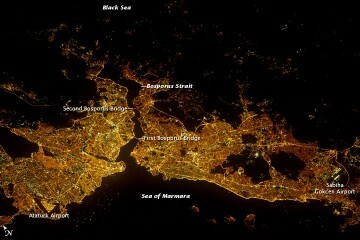 Istanbul is one of the world’s great cities with a population of 15 million spread out over 700 square miles of land. The Turkish city has been growing and spreading rapidly over the past few decades. The city has tripled in area over the last 35 years. 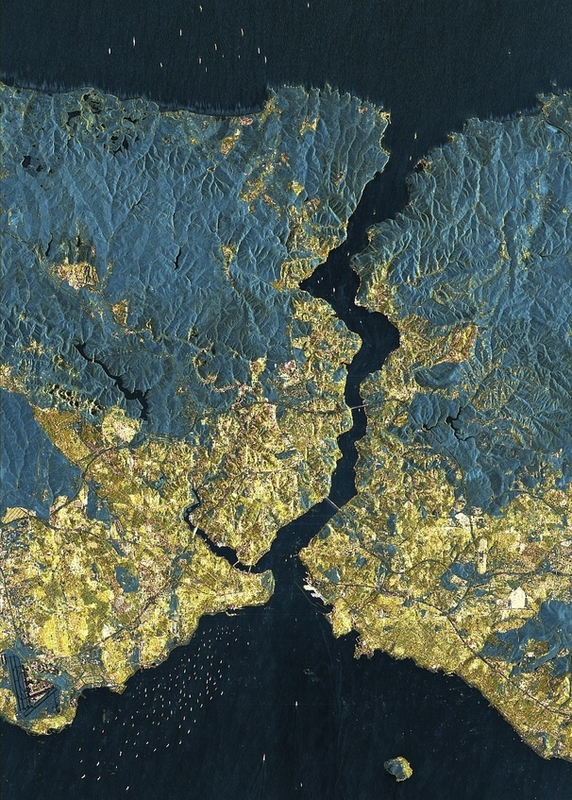 In this false color satellite image taken by the German space agency, the DLR, the yellow areas reflect human buildings. Are you a resident of Istanbul? 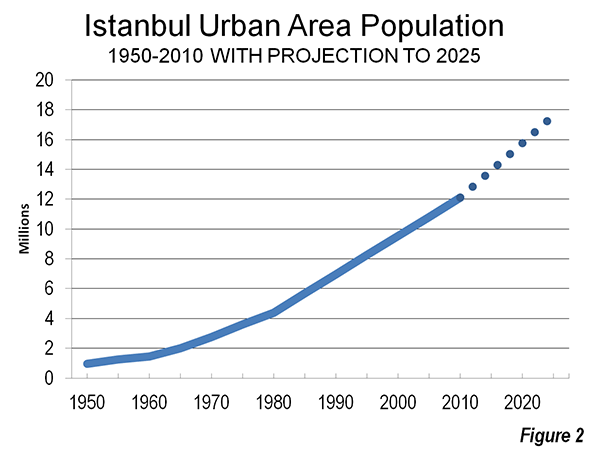 What do you think of Istanbul’s urban growth and projections for the future? Let us know!